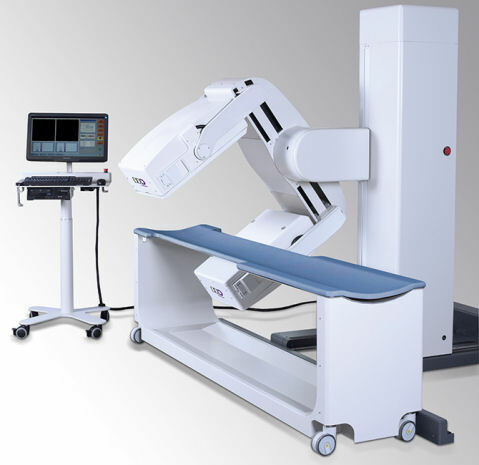 QuantumCam is a general-purpose dual head variable angle gamma camera with minimal room size requirement. No other SPECT system in the market has a smaller footprint and still full flexibility in detector positioning, offering versatile use for whole-body, SPECT, Cardiac SPECT and planar imaging procedures. With its translating gantry and removable patient bed, QuantumCam offers an open, non-claustrophobic, modern & appealing design for improved patient comfort and ease of use. The gantry design permits scanning patients in wheelchairs, imaging chairs, other beds or even standing.